Mobile communications is “moving to a new level” according to a new World Bank report released Tuesday, July 17, with more than 3/4 of the world’s population having access to a mobile phone and a fast-expanding range of uses for the technology. 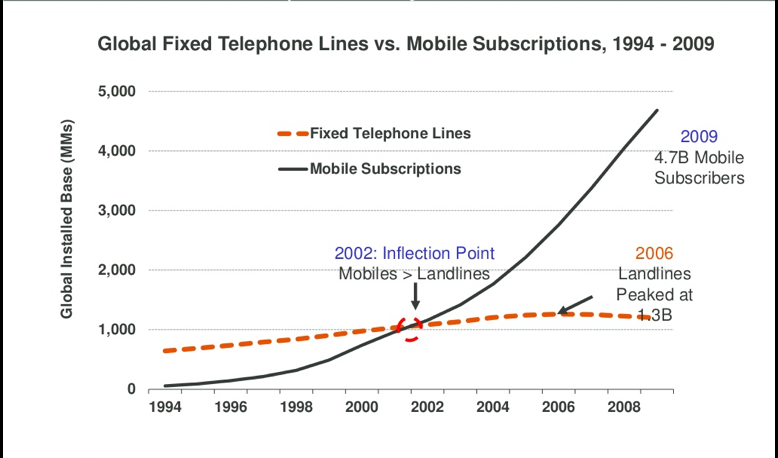 There are currently over 6 billion mobile subscriptions globally, up from just below 1 billion back in 2000. Out of these subscriptions (both postpaid and prepaid), 5 billion come from developing countries, the WB report said. However, the more important thing, the report said, is not the fast-rising number of people having access to mobile technologies, but rather the expanding use of these technologies beyond the calls and texts. 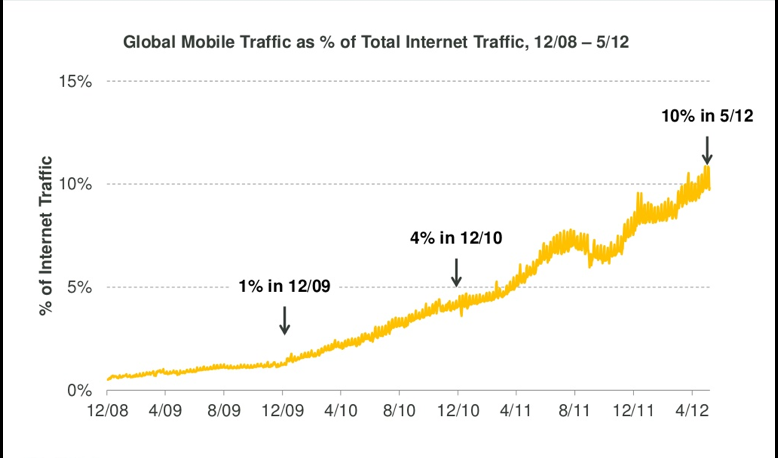 If we take look at the percentage of mobile traffic in reference to the total internet traffic, we see the rise up to almost (already) 10% of the total internet traffic (and still rising). We’re leaving the PC era and entering the mobile era, in which your mobile device will be your primary access point to the internet. If we take a look into Asia, India f.i., we see this transition even better. Asia is at the moment by far the lead ‘generation’ in what’s happening in mobile, but we see this trend everywhere in the world. Off course this has a huge impact on our behaviour. 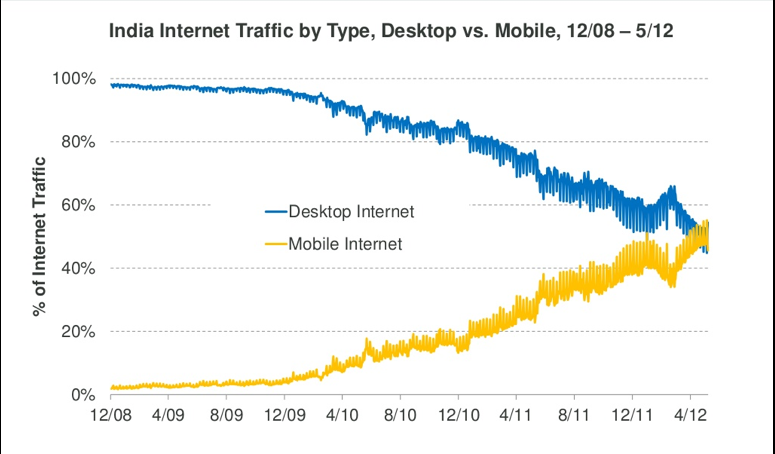 The next video shows the impact of the mobile revolution. I think we first need to improve our mobile phones and the way we use them. It is still much easier to work with your laptop on files or big test messages then with you smartphone. With the new generation tablets we maybe have a substitute for the laptop. In the future we can evolve into the real smartphone. I think the new generation of tablets are a alternative for laptops. They are absolutely in the digital spirit because of the touch control and the intuitive handling.